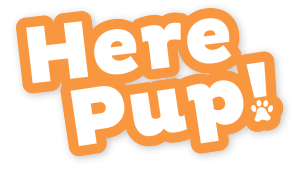 Snoopin’ Around: What are the Best Toys for Beagles? There's a good chance that beagles came into our consciousness because of Snoopy, the dog in the legendary comic strip Peanuts. While a real beagle won't fight the Red Baron, his friendliness, size, and genteel nature makes him a great dog. But how do you keep this amazing dog entertained? **Clicking the links above will take you to Amazon, where you can see prices, customer reviews, product specs, etc. While Snoopy put beagles on the map, the breed has perpetuated a lot of popularity because they are one of the most conveniently-sized breeds in the canine kingdom. The breed is small enough to be comfortable for those wary of having a large dog, yet they’re big enough to be embraced by those who disregard small and toy breeds. Beagles are also just about the friendliest pooches on the planet. This is a dog filled with love for everyone, and this affectionate streak makes them a wonderful family dog. They are also an immensely patient breed, and this is especially something to keep in mind if you have young children in your home. While beagles tend to be a little on the yappy side, they tend to be a very docile breed. Even though they do love companionship, they do have somewhat of an independent streak. So don’t necessarily expect this dog to be at your feet day and night. Another reason beagles are so appealing is that they are relatively easy to care for from a grooming standpoint. They boast a short coat, and they don't shed a whole lot. This may appeal greatly to those that are worried about their furniture becoming fur-niture. And of course, you shouldn’t discount the breed’s cuteness. The breed’s soulful countenance and expressive face can prove to be irresistible to even those that are just casual dog fans. So when you take your little guy for a walk, expect to get stopped by people – and expect him to appreciate the attention. How Does a Beagle Like to Play? As cute and easy-going as beagles are, make no mistake: this is a breed that likes to play, and play a lot. These hound dogs were bred to use their noses for hunting, and they will need to tap into that instinct through exercise and activity. Of course, this playful streak can translate into them getting into all sorts of mischief. If possible, you need to make sure you give your beagle as much as an hour of exercise every day. If you live in an apartment, you may need to prep yourself for several walks throughout the day, regardless of how bad the weather may be outside. If you have a backyard or access to a large play space, you can engage him in fetching or catching games. Beagles can also be surprisingly nimble and athletic if properly trained. The road to creating an athletic beagle is admittedly a tough one – beagles are a stubborn breed with a reputation for being difficult to train. However, the trill of watching your beagle leap and snag a Frisbee from mid-air is more than a sufficient reward for the training time. It is important that you don’t slack off on exercise and playtime. If you do, your beagle will “repay” you through destructive behavior. This may be a particularly tough problem to overcome if you’re the type of dog owner that may be gone for long stretches of time per day, as the breed is rather susceptible to experiencing separation anxiety. It's also important to make sure your beagle gets plenty of exercise because they are infamous for their ability to gain weight. They are voracious eaters that will put their mouth on any semblance of a table scrap. A lack of consistent playtime may result in you having a fat dog with health problems on your hands. What Kinds of Toys are Best for Your Beagle? Because beagles are an active breed, the toys that work best tend to be the ones that involve some sort of owner/pet interaction. Remember, it’s your responsibility to see that your beagle is getting the proper amount of exercise. Why not have a little fun in the process? There is a wide range of options that can work to fulfill this need. You can go with bouncing balls or stick-shaped options here, and the breed is small enough to allow you to comfortably engage him in your backyard. If you have access to a larger area like a dog park or a greenbelt that allows unleashed dogs, you could entertain a well-trained beagle to chase and catch Frisbees. This will not only allow him to enjoy some hard-working playtime, but it also may enable him to draw a crowd in the process. Given that beagles are social dogs, this extra attention would suit him just fine. What Toys Should be Avoided? You should back off on any toy that can easily be destroyed. While it may be cute to see your beagle play with a squeak-infused stuffed toy, things can turn into frustration very quickly as you sweep up stuffing and dispose of toy carcass. The reason for this behavior is instinctual. Beagles were bred to be hunters, and these hunting tendencies tend to manifest themselves when a “huntable” object comes into play. In the case of a squeak toy, they will turn the squeaker into their prey. If you get your beagle a durable chew toy, you should avoid any toy that is not reported to be BPA free. BPA, or bisphenol-A, is a chemical that is sometimes added to rubber or vinyl toys for extra elasticity. The only problem is, overexposure to the chemical through excessive chewing could cause disruptions within the dog's endocrine system. 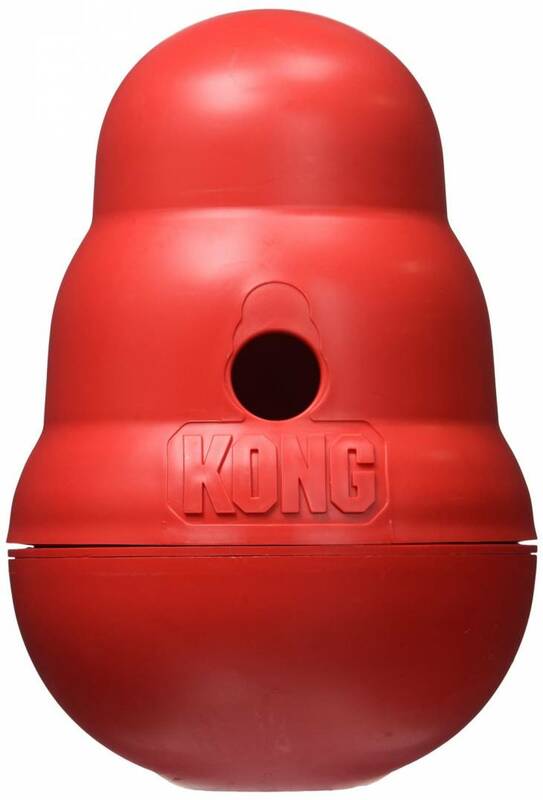 Regarding sheer versatility, you can't go wrong with the basic KONG Wobbler Dispenser Toy. The toy's design makes it possible for your beagle to work out every aspect of his playing style, as well as his instinctual nature. Obviously, it’s an easy thing to throw, which means that you can wear out your little guy by engaging him with a long, fun session of fetch. Plus, the toy’s rubber sculpt and unique tiered cone shape means that it will randomly bounce when it strikes the ground. 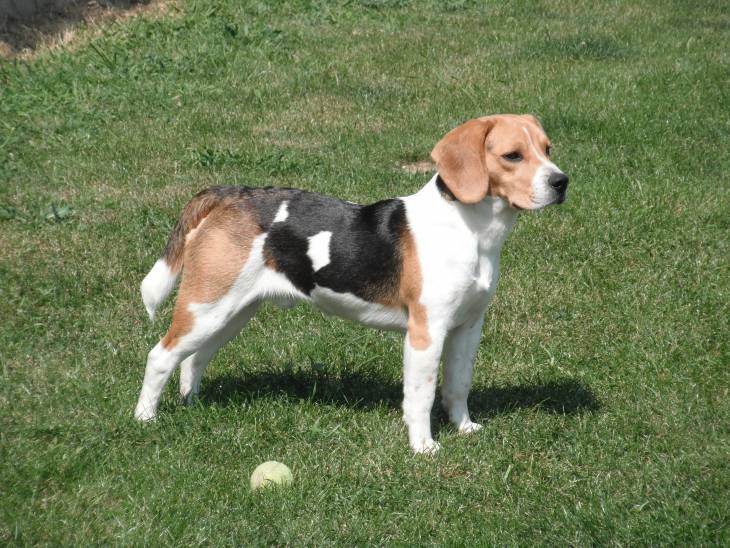 As such, your beagle may have to search for it – an activity that plays to his hunting instinct. Of course, a KONG wouldn't be a KONG if you couldn't stuff a treat inside. While you don't have to do put something into the toy every time you toss it, when it does have something inside, the beagle's instinct to destroy a squeak toy will manifest. Luckily for all parties involved, the toy's rubber design makes it pretty much indestructible. If you’re just looking for a toy to play around with while you and your beagle are just hanging out at home, you may want to consider Pet-it’s Large Cotton Rope Dog Toy for Aggressive Chewers Knot Ball. 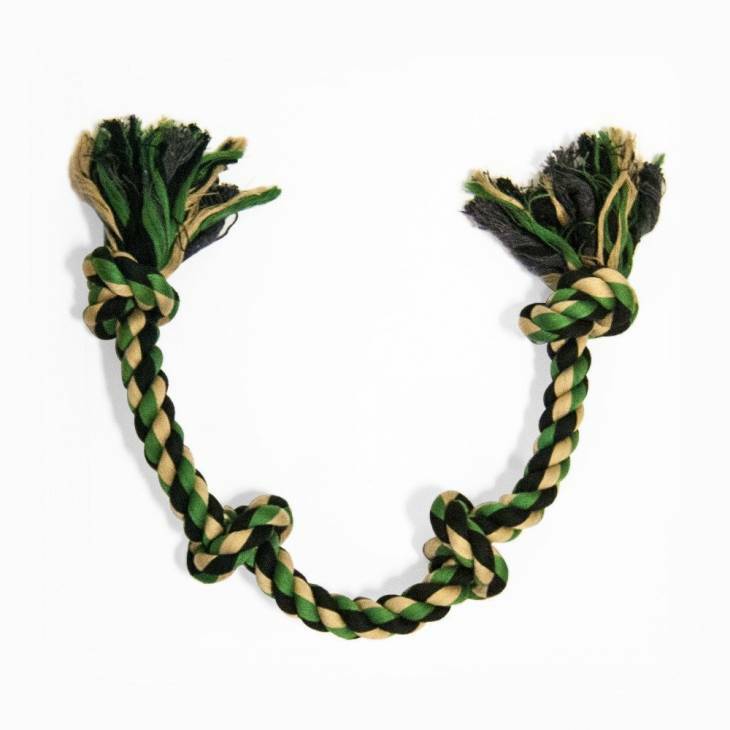 The non-toxic rope toy works because it provides up-close playful interaction between you and your four-legged friend. The toy's thickness will allow your beagle to sink his teeth into the rope, but it's gentle enough to where the health of his teeth won't be compromised. If he plays with the rope after a meal, it can actually help to rid his teeth of debris before it has a chance to settle on his chompers. Plus, like any other good rope toy, it is versatile enough to use in a game of fetch. In fact, you can combine fetching with other games like tug-o-war once he retrieves the toy and brings it back to you. Doing so will strengthen the level of trust between you and your dog, which ultimately serves as the foundation of any pet/owner bond. Ultimately, you know what’s best for your beagle, and you should tailor his playtime experience to fit his needs as they become evident. If you feel you can push him to be a solid athlete, then go for it by all means. If you’re content with just engaging him in walks, fetch, and other mild forms of playtime, that’s fine too. The important thing to realize, as these toys demonstrate, there is many different ways to keep your beagle entertained. As long as you adhere to the dos and don'ts behind basic beagle toy-buying strategy, you and your buddy will have plenty of good times together. One thing's for sure – your four-legged friend will certainly enjoy spending time with you. 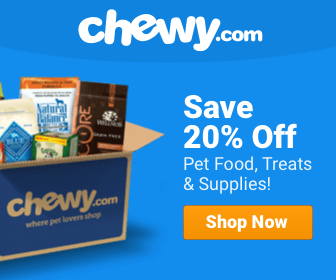 What Are The Best Dog Supplements? Reviews & Ratings!